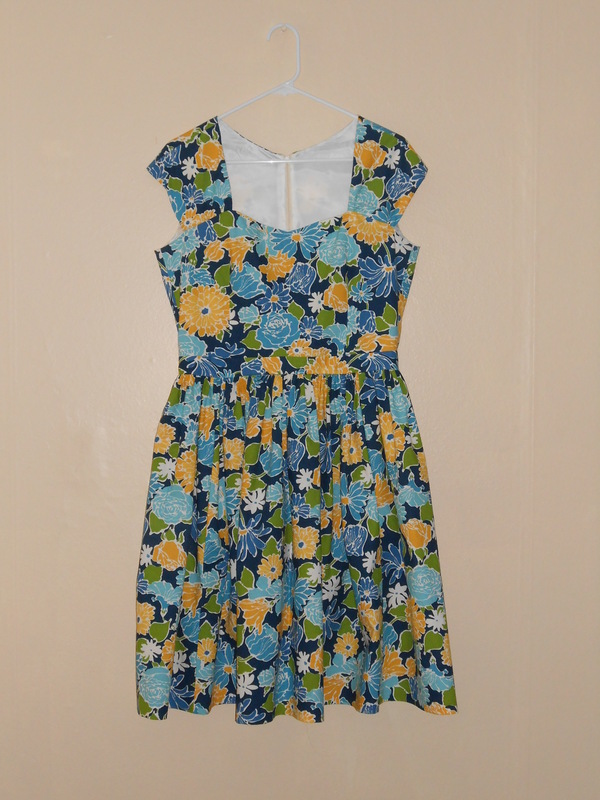 Well, it took a while, but I did it: I made my first dress! 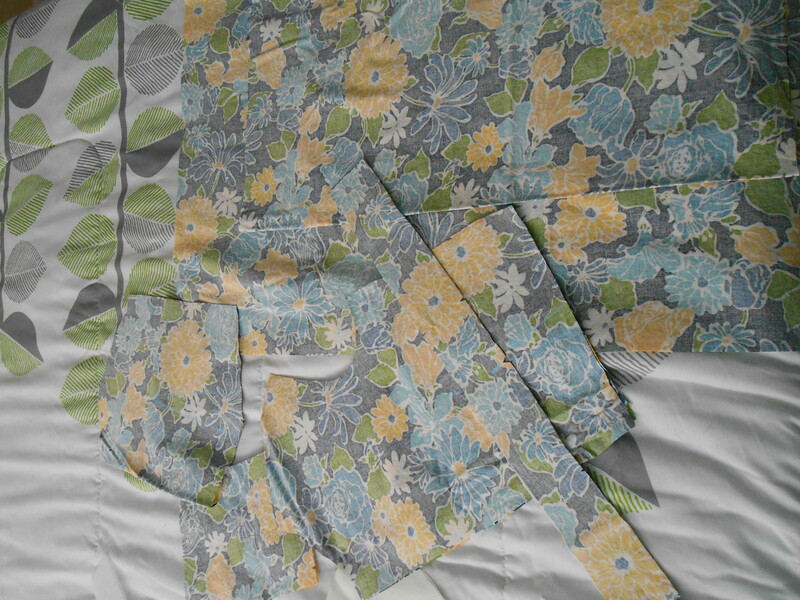 (and thereby fulfilled my sewlution for 2013 — thanks Karen, for setting the Sewlutions up!). I put it on to test the fit (I closed the back without a zipper just to get an idea – you can see in the pic above), and was pleasantly surprised with the decent fit! (I’ve since seen many posts about Sewaholic patterns that praise Tasia for such spot-on measurements). Those were really my three biggest problems, so all in all, not too bad. Sometimes it’s better to make the mistakes to learn and be better for next time! At one of the fittings, fiancé said “You look like Lucy”. haha! I decided that I would cut back on the amount of fabric for the skirt if I were to do view B again – I feel like it might accentuate my hips a little too much. 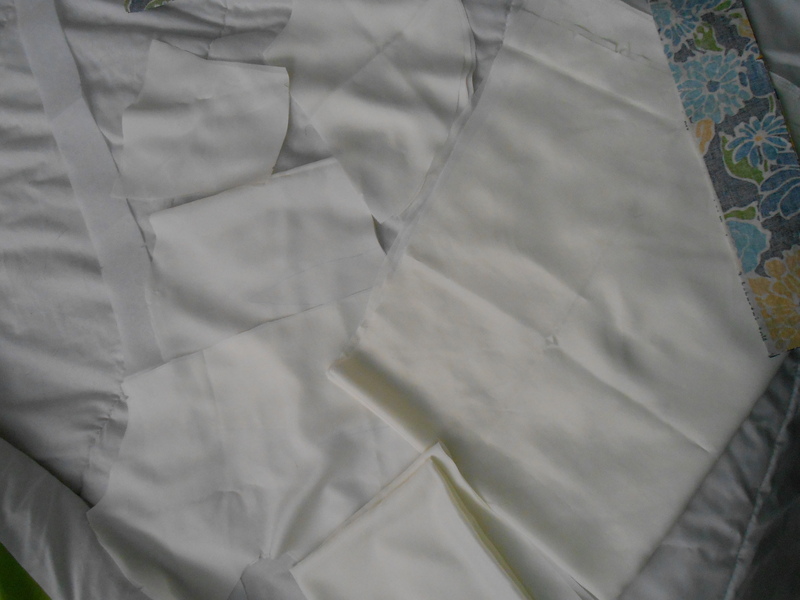 Too much gathering, so I would cut out less fabric, I think. 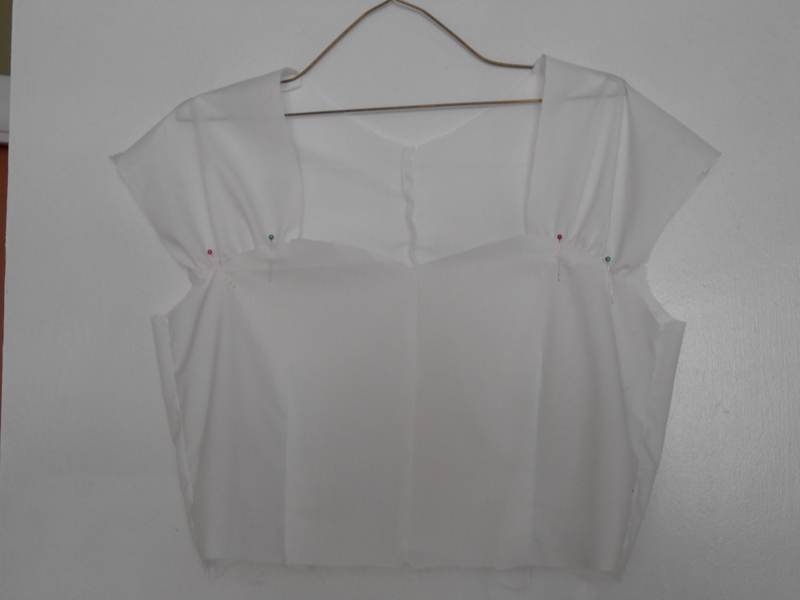 The online tutorials from Tasia were super helpful when it came time to attach the lining and the sleeves. However, they were much easier for me to understand when I was following along with my material than just reading them while sitting on the couch. 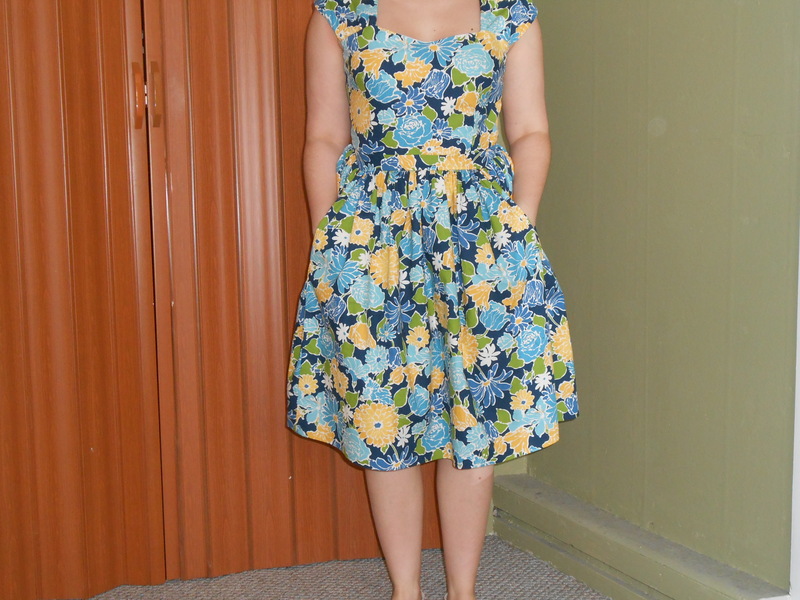 I ended up using stitch witchery for the hem at the bottom of the dress. I haven’t had much experience hand-sewing and wasn’t sure how to approach it. Also, the thread that I used for the dress would have showed on the outside of the dress and I didn’t want that. I’m not sure how well stitch-witchery will hold up against multiple washings (I’ve only used it on one other project that I haven’t had to wash yet – a table runner). Anyone know? There are a few things I wasn’t too happy about (operator errors), but all in all I’m proud of what I accomplished! And I plan to make view A – I think in a solid color – plum perhaps. Previous Post New Patterns! Yay! What fascinates me is that my mother was a home economics major, sewed beautifully, and would rather make a new dress than iron an old one. (That is NOT an exaggeration. She regularly made dresses for other girls in the neighborhood while their moms did her ironing.) But she hated Vogue patterns (too complicated) and wouldn’t make things that required linings. And your first dress? LINED! You rock, girl. And it’s adorable! That’s funny about the ironing – teamwork! I’ve heard Vogue patterns can be pretty complicated, too. Oh, it’s lovely! Well done! It looks awesome! Does it have pockets or are you just showing the fullness of the skirt? Yes those are pockets! Woo hoo! 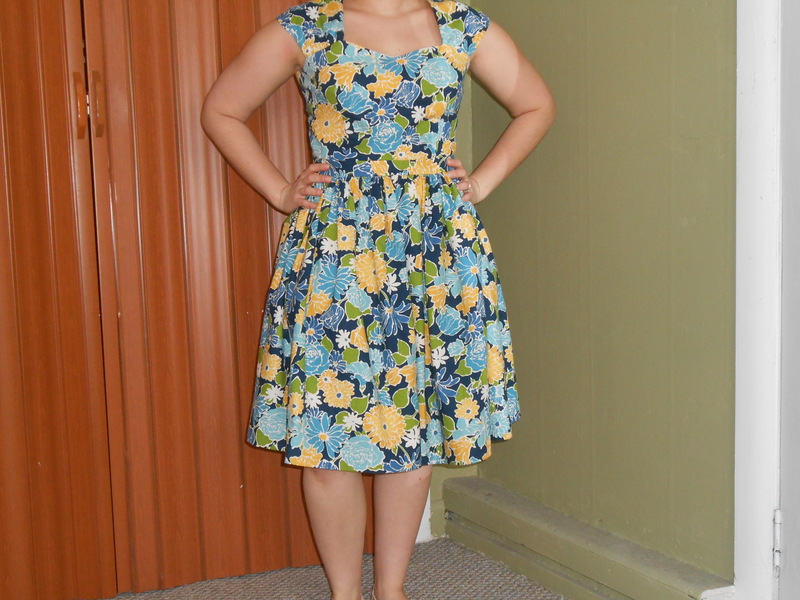 Great dress and congratulations on your completed sewlution. A tip for gathering is to run two threads side by side – one just barely inside the seamline, and another a scant quarter inch away, towards the raw edge and pull them together. Thank you! (For the compliment and the advice!) Happy New Year! !